Copyright © Namedrops. Images used with permission. These adorable Camp Graffiti postcards are perfect for your camper! 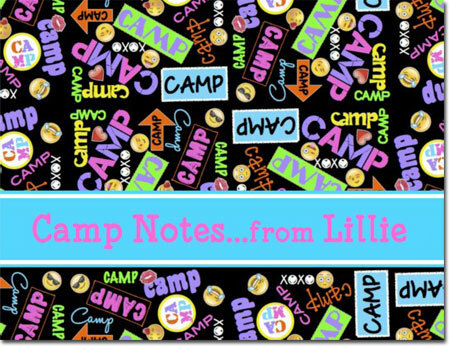 One side has colorful graffiti with your choice of personalization. 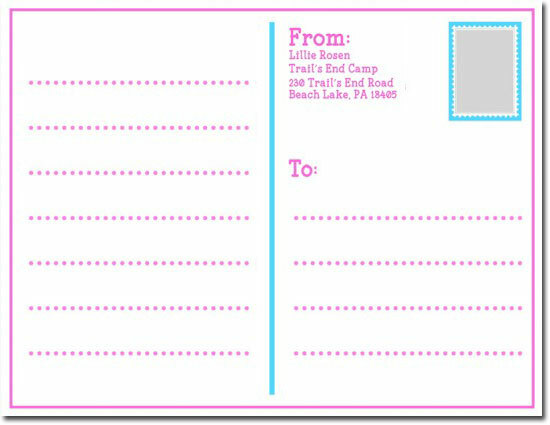 Flip side has printed return address and space for your camper to address the postcard, adhere a stamp, and, of course, write a note!